The legal system is challenging to navigate, even under the very best of circumstances. 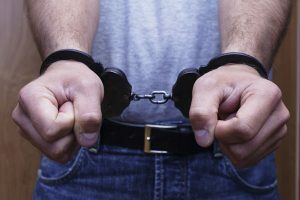 If you have been charged with a dangerous offense, you need to find an experienced legal defense like Robert A. Dodell, Attorney At Law, to represent you. At Robert A. Dodell, Attorney At Law, we are dedicated to helping folks like you during these troubling times. There are several things that must be handled in order to ensure the best outcome possible. From the moment you are contacted by the authorities until your trial is over, you need to have a professional lawyer by your side. Don’t answer any of the questions posed to you by officers of the law, no matter what agency they work for. No matter how guilty or innocent you are of the charges, the information provided can be used against you. Not only does this include anything that you say after your rights have been read, but also before. Remember that the cops are taking notice of every word you say, looking for anything that will further incriminate you. By law you are entitled to speak to an attorney.. It is important that you begin taking steps to retain an attorney immediately. Take the opportunity to call an attorney immediately. Ideally you will have your own attorney when you walk in front of the judge to be arraigned. In most cases the State attorney will request that dangerous offenders remain behind bars while awaiting trial. An attorney can advocate for you to be released. There are several additional factors that your lawyer can bring up to support the request. If you have a job, family and responsibilities within the community, you are less of a flight risk. Also, if this is your first offense, the judge is more likely to release you on without a bond. Whether you are waiting out your time behind bars or have been allowed to go about your daily routine, don’t discuss the case with other people. You don’t want to inadvertently share something that could hurt your case further down the line. Also, you should do everything possible to stay out of trouble while awaiting trial. Stay away from illegal activities, and quit using any illegal recreational substances. You should be a model citizen or it is possible that you will end up in jail again. Make sure that you follow through with their instructions, such as not connecting the victim, returning to the scene of the crime and staying within the State. Your attorney can advise you of any other important factors that could help you case. 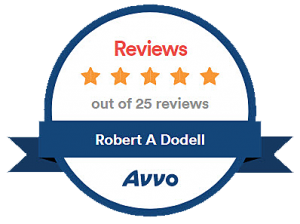 At Robert A. Dodell, Attorney at Law, we will advise of you of everything needed to help your case reach the best outcome possible. It is important that you don’t panic when you have been charged with a dangerous offense. Remember that the cops initially charge folks with the steepest charges possible. This allows for more negotiating room between the attorneys on both sides. A good lawyer can get some of the charges reduced or dropped, which means less penalties for you. Your attorney might even find enough evidence to have the entire case tossed out of court. Yes, being charged with a dangerous offense can be frightening. However, you don’t have to let that overwhelm you. Robert A. Dodell, Attorney At Law, is here to help guide you through the entire process. If you need immediate legal assistance with a dangerous crime offense/charge, contact us today for a free initial consultation for your case.